Below you can view all the homes for sale in the Mountain Shadow subdivision located in North Las Vegas Nevada. Listings in Mountain Shadow are updated daily from data we receive from the Las Vegas multiple listing service. To learn more about any of these homes or to receive custom notifications when a new property is listed for sale in Mountain Shadow, give us a call at 702-323-5986. Hurry this one will go fast! 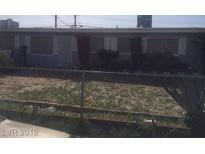 MLS#2085975. Addicted Realty LLC. *central Location*modern Single Story*rv Parking*over 1,100 Sq Ft*3bed*2bath*kitchen W/Custom Backsplash*open Great Room*wood-like Flooring*upgraded Fixtures Throughout* MLS#2075451. Keller Williams Market Place. Large secondary rooms. DONT DELAY ACT TODAY MLS#2073672. Platinum R.E. Professionals. Brand New Front Landscaping....Large Backyard With No Back Neighbors...Views !! Dont Miss This Beauty.... MLS#2073564. Realty ONE Group, Inc.
Nearly everything replaced including: (2) A/C units, 1 swamp cooler , H20 heater, exterior re-plastered, new interior & exterior paint, flooring, kitchen, bath, new main H2O line out to street, 2 large storage sheds. MLS#2071550. BHHS Nevada Properties. 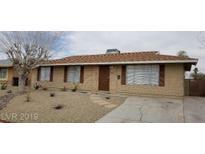 Close to shopping, restaurants, and I-15 freeway. Being sold as is... MLS#2070727. BHHS Nevada Properties. Amazing open concept floor plan. Family Room, Den and loft. MLS#2069181. Keller Williams Realty Las Vegas. New kitchen, new flooring new bathrooms, one story house close to freeway and Nellis Air Force Base and 4 bedrooms. MLS#2062120. BHHS Nevada Properties. Ez Freeway Access Wont Last Long!! ! MLS#2055153. Coldwell Banker Premier. Back yard is great for entertaining. Gourmet Kitchen as well. MLS#2048105. Realty ONE Group, Inc.
home features 4 bed, 2 full bath, carport, open floor plan, huge private back yard, could use some TLC, Price to sell...... MLS#2048881. CR Realty Services LLC. 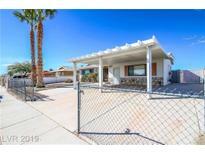 Single story, 4 bedroom, 2.5 bath, fully fenced in with a 2 car garage in North Las Vegas. MLS#2027404. Realty ONE Group, Inc. Welcome To Your Newly Renovated Home Ready & Waiting For You*stop Renting And Start Owning*freshly Painted Thru-out Creates Clean/Spacious Feeling*brand New Warm Color Carpet*easy Clean Tile Flooring*backyard For Outside Enjoyment*north Las Vegas Location Close To Schools, Shoppping, Dining, Entertainment, Freeway & More*show & Sell*lease Buyout-30 Day Move-in MLS#1969656. Turn Key Property Solutions.